The U.S Powerball record jackpot stands at an awesome $1.586 billion (around €1.4bn), and was won in January of 2016. The current Powerball jackpot is now at €121 million and looks set to keep on rising. 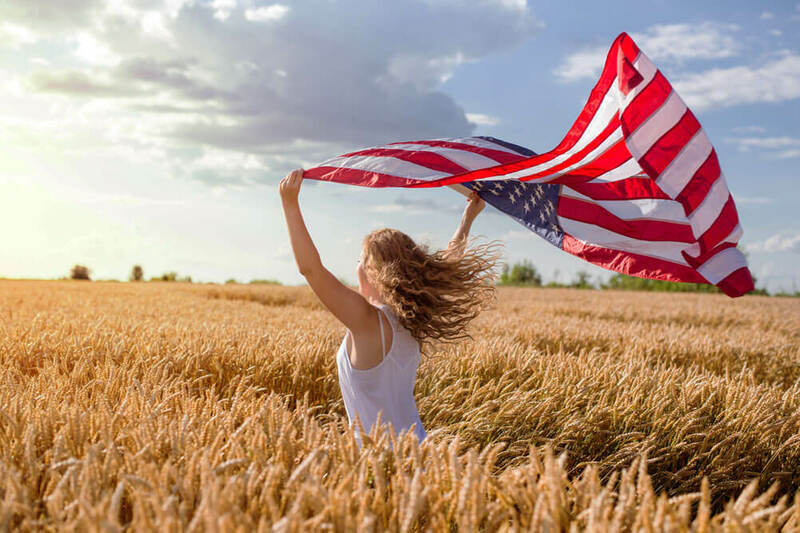 We take a closer look at record Powerball jackpot winners and let you know how you can bet on this lottery giant online from Ireland - without having to leave your house! We have more details on some of those fortunate Powerball winners below. 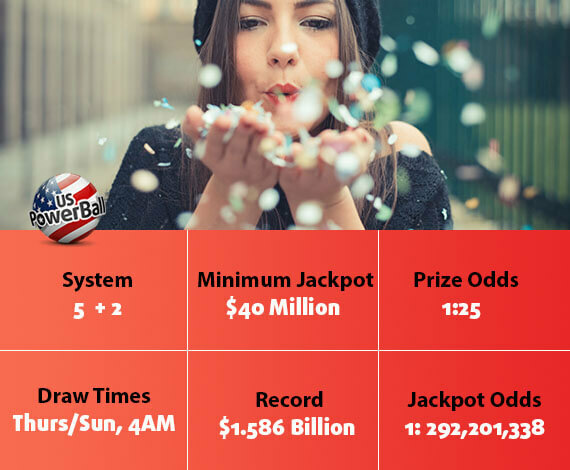 The world record Powerball jackpot stands at an awesome $1.586 Billion USD and was shared by three ticket-holders in January 2016. Because the total jackpot was divided three ways it means there have been larger single-ticket winners of this American giant and the three winning couples have to settle for 'only' fifth place on our list. Mavis Wanczyk from Massachusetts held the record for the largest individual win when she claimed the $758.7 million jackpot in August 2017. The 53-year-old had hardly let the news of her win settle in before she had phoned her employers to hand in her notice after 32 years. With Lottoland there's no need to drive across the border to buy tickets to enter Powerball, you can play your lucky numbers online from home or on your phone. You have the same odds of winning and all the payouts are the same - including the jackpots which are over $1 billion! Lottoland's prizes are fully insured so your winnings are guaranteed if your numbers come up lucky! How Much Does it Cost to Bet on Powerball Online in Ireland? Due to the enormous size that Powerball jackpots can reach, the cost of a line is not fixed as with the majority of other lotteries at Lottoland. Even giant European lotteries have fixed bet costs since they are capped at a certain level, but there is no limit as to how big the Powerball record jackpot could get. For that reason, the stake can rise from $4 to $8 if the jackpot exceeds $500 million (USD), although this is at Lottoland's discretion. For example, by hitting only the extra ball, PowerBall, you win a Category 9 prize, which is worth about $4 (approximately €3.30). If you are fortunate enough to win a prize on Powerball with Lottoland, winnings will automatically be credited to your account. Once your account is verified - ID and proof of address may be required if the account has not previously been verified - you can simply withdraw your winnings. We will contact you by telephone if you manage to bag one of the highest tier prizes. 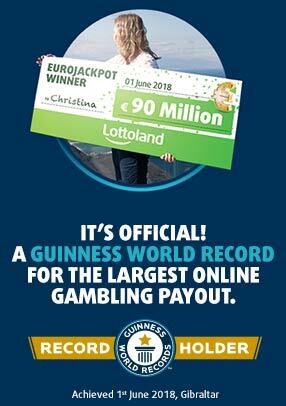 Go here to try your luck and place a bet on the record-breaking Powerball lottery with Lottoland from Ireland!